Farmer, businessman, MLA (1892-1895), MLA (1900-1903), MLA (1903-1907), MLA (1908-1910), MLA (1911-1914). Born in Leeds County, Ontario on 1 July 1856, son of Michael Lyons and Ann Gardiner, brother of Joseph B. Lyons, he was educated in the public schools and grammar school at Farmersville, Ontario. He came to Manitoba in 1879 and took up a homestead and established a general store on the plains. When the Town of Carberry was platted, he and a partner purchased the first two lots sold in the business district on which they erected a building for a department store. In 1888 Lyons sold his interest in the department store. He owned twenty-seven hundred acres of land in the Carberry district, on sixteen hundred of which he grew grain and raised high grade stock. For many years he was the largest operator on the stock exchange. He was a stockholder in the Lone Pine Gold Mining and Milling Company Limited and was Vice-President of the corporation. He owned a grain elevator at Carberry. 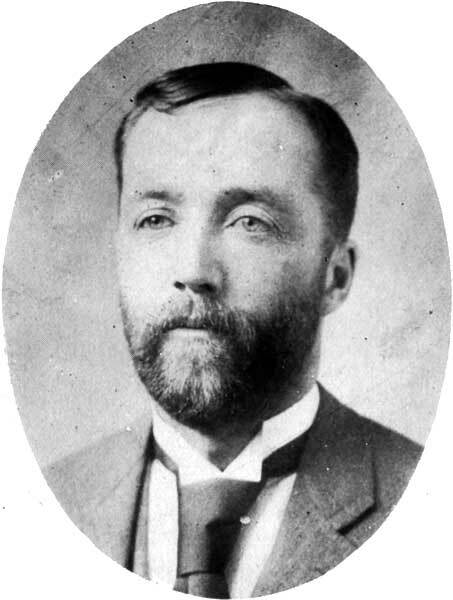 A Conservative, he was elected to the Manitoba Legislature as member for Norfolk in 1892 and re-elected in 1899, 1903, 1907, and 1910 but was defeated in 1896, 1914, and 1915. On 20 April 1888, he married Janet Josephine Hume (?-1901), a daughter of Thomas Hume, at Winnipeg. They had four children: Robert Ross Lyons (1889-? ), John Wesley Blake Lyons (1892-? ), Ivan Lorne Lyons (1898-? ), and Janet Josephine Lyons (1901-?, wife of H. C. Bannister). He was a member of the Methodist Church, Masons, and Orange Lodge. He died at his Carberry home on 29 December 1926. “R. F. Lyons, Carberry, dies very suddenly,” Manitoba Free Press, 30 December 1926, page 2. Carberry Plains - Century One: 1882-1982 by Carberry History Book Committee, 1982, page 193. The People of the Big Plain by Carberry-North Cypress 125 History Book Committee, 2007, page 387.